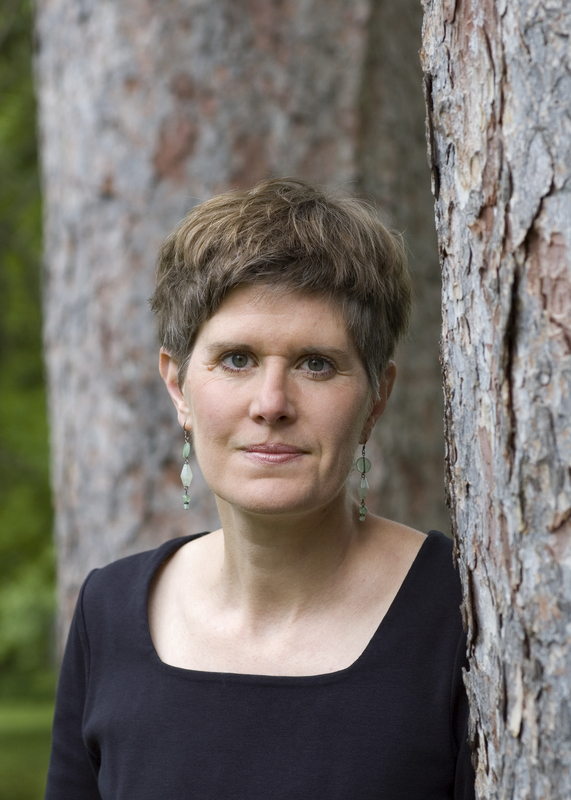 Editor’s note: Sandra Steingraber is an acclaimed ecologist and author who explores the links between human rights and the environment, with a focus on chemical contamination. Sandra is actively working to ban hydraulic fracturing, or fracking, across the United States, with a focus in New York and Pennsylvania. She has written extensively about the subject and has graciously allowed us to paraphrase and excerpt from her writing for this piece. The United States, as it turns out, has a lot of unburned natural gas trapped as tiny bubbles in our shale bedrock. Until about a decade ago, much of this trapped underground gas was considered unrecoverable. But that all changed with the rollout of a drilling technique (pioneered by Halliburton) called hydrofracturing, or fracking. Fracking bores horizontally through the bedrock, blasts it with explosives, and forces into the cracks, under enormous pressure, millions of gallons of water laced with a proprietary mix of poisonous chemicals that further fracture the rock. These boreholes provide the channel out of which the gas flows. Many naturally occurring toxic materials, including, in some cases, radioactivity, are trapped inside shale bedrock. Drilling and fracking operations can liberate and mobilize these materials. The chemicals necessary to frack the rock are themselves toxic. Our drinking water aquifers lie above the rocks we are shattering. Fracking lays down blankets of smog over surrounding landscapes, fills roadways with trucks hauling hazardous materials, sends sediment into streams, and generates immense quantities of radioactive, carcinogen-laced waste for which no fail-safe disposal options exist. Thousands of gallons of toxic chemicals are added to the millions of gallons of fracking water. Indeed, potential carcinogens make up 25 percent of the chemical additives used in fracking operations. Sometimes, through leaks, blow-outs, or surface spills, these chemicals migrate into water not intended for fracking. Fracking has been implicated in the contamination of surface and groundwater supplies across the United States. Nationwide, more than a thousand different cases of water contamination have been documented near fracking sites. In Pennsylvania, more than 8,000 gallons of fracking fluid containing a suspected carcinogen spilled into a waterway. In Parker County, Texas, fracked gas wells poisoned a drinking water aquifer with benzene and methane. Likewise, in Pavillion, Wyo., the U.S. Environmental Protection Agency found benzene in groundwater and wells. Benzene exposure is strongly associated with childhood leukemia and is a known human carcinogen. Some of the cancer risk from fracking comes from the release of naturally occurring chemicals found deep in the earth. One of them is radium-226, which is as radioactive as its name implies. Of over 240 fracked gas wells in Pennsylvania and West Virginia, almost three-fourths produced wastewater with elevated levels of radiation. Fracking pollutes the air with known and suspected human carcinogens. Air pollutants from fracking take the form of diesel exhaust (from trucks, pumps, condensers, earthmoving machines, and other heavy equipment) along with volatile organic compounds, including benzene (released from the wellheads themselves) and formaldehyde (produced by compressor station engines). Exposure to these air pollutants have been demonstrably linked to lung, breast, and bladder cancers. Thirty-seven percent of chemicals in fracking fluids have been identified as endocrine-disruptors. By definition, these substances have the power, at vanishingly low concentrations, to alter hormonal signaling pathways within the body. Many can place cells on the pathway to tumor formation. It’s extremely difficult to establish links between individual cancer diagnoses and particular chemicals used, released, or created by fracking operations. Nevertheless, when carcinogens are released into our common environment, an ongoing public health and environmental experiment is set in motion, and all of us are placed in harm’s way, often without our consent. Preliminary evidence raises questions about cancer rates in intensively drilled areas. In Texas, for example, breast cancer rates are higher among women living in the six counties with the most intensive gas drilling. While these patterns do not prove a connection between abnormally high rates of cancer and gas industry pollution, they do offer clues for further inquiry. Given that drilling and fracking operations involve releases of known and suspected breast carcinogens, it is reasonable, and morally right, to ask if fracking might be involved in the creation of patterns of high incidence rates. No comprehensive study on the human or animal health impacts of fracking has ever been conducted. However, using a case study approach, veterinarian Michelle Bamberger and Cornell biochemist Robert Oswald have been studying the impact of gas drilling on livestock, horses, pets, wildlife, and people who live in the gaslands of Pennsylvania. Nondisclosure agreements, trade secrets, litigation, and a general atmosphere of intimidation make their investigation difficult. So far, as described in a paper published in the environmental policy journal New Solutions, the team has documented widespread evidence of health and reproductive problems. In cattle exposed to fracking fluid, the following occured: stillborn calves, cleft palates, milk contamination, and death. In cats and dogs: seizures, stillbirths, fur loss, and vomiting. In humans: headaches, rashes, nosebleeds, and vomiting. Chemical disclosure requirements, health registries, and after-the-fact biomonitoring programs cannot substitute for due diligence. 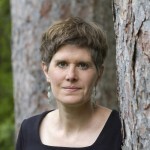 Disclosing the chemicals used in fracking operations, monitoring human exposures to those chemicals, and establishing registries of those harmed by chemical exposures are useful tools for scientific study and are basic rights in a transparent, right-to-know democracy, but they do not, by themselves, protect public health. Instead, we need a precautionary, prevention-oriented approach to reducing environmental cancer risk. 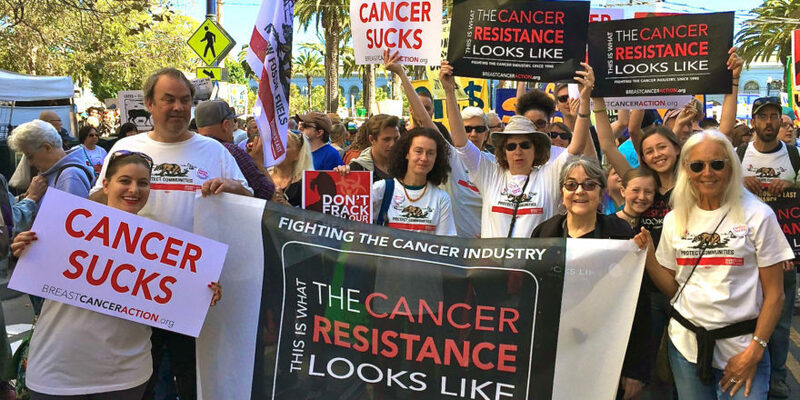 To permit a form of fossil fuel extraction that opens countless portals of toxic contamination – upon commencement of the fracking operation and in perpetuity – turns us away from a meaningful approach to cancer prevention. Until we know the answers to concerns about fracking and human health risks, benefit of the doubt goes to breasts, not to the chemicals that cause cancer in breasts. The burden of proof belongs on the shoulders of the gas industry to demonstrate safety, not on the backs of women, who will have to suffer and die in order to prove without a doubt that fracking causes breast cancer. For more information about our work on the health harms of fracking, click here.